Welcome to August, Thread Sox Nation. This month is bound to be a fun one. The Lowell Spinners are right in the thick of a playoff race, just one game back of the Tri-City ValleyCats in the Stedler Division and one game ahead of the State College Spikes in the Wild Card. The past two games at LeLacheur Park have been exciting ball games to be a part of. Lowell has won two straight, a 6-4 thriller over the Auburn Doubledays Tuesday night. On Wednesday, pitchers Jamie Callahan, Mike Adams and Taylor Grover combined for a two-hit 7-0 shutout. Callahan pitched six perfect innings, Adams added two more and Grover came within two outs of completing the perfect game. Auburn’s Cody Dent, the son of former Yankee Bucky Dent – yes, that Bucky Dent – blooped a single to center field to end the perfecto. The Spinners won for the second straight night, the first time since July 11 that they had not alternated wins and losses. The Spinners go for the sweep tonight against the Doubledays with Teddy Stankiewicz making his LeLacheur Park debut. The 2013 second round (45th overall) draft pick of the Red Sox has pitched three perfect innings in two outings this season. After the Doubledays head out of town, the Spinners will host the Batavia Muckdogs for a three-game weekend series. Come on out to LeLacheur Park and be sure to check our promo schedule at http://www.lowellspinners.com! Go Spinners! If you haven’t been at LeLacheur Park the past two nights, you’ve missed two really good baseball games. In Game 1 against the Staten Island Yankees, the Lowell Spinners eeked out a 2-1 win, scoring the winning run in the bottom of the eighth inning on an RBI single by Kevin Mager. Last night took a little longer to decide, as the two teams went to extra innings without scoring a run. The Spinners loaded the bases in the bottom of the 10th with no outs and Aaron King blooped a soft single to center to score the walk-off victory. A few pitchers’ duels into this six-game home-stand and the Spinners are 14-9, just one game back of the Tri-City ValleyCats (16-9) in the Stedler Division of the NYPL. They go for the sweep against the Yankees tonight in what should be another classic between the Red Sox and Yankees Single-A affiliates. It was noted by Lowell baseball historian Chaz Scoggins that the Spinners now have 26 wins against Staten Island in their history. Of those 26, half (13) have come in the final at-bat. Corey Littrell makes his LeLacheur Park debut on the mound. Littrell is a fifth-round draft pick out of the University of Kentucky. The left-hander decided to forego his senior season and signed with the Red Sox. He pitched two innings on the road at Brooklyn, striking out one and allowing one hit with no runs or walks. For all you Irish folk out there, tonight is the night for you. LeLacheur Park will turn Green and Orange for Irish Night and there are numerous promotions going on throughout the evening. Former Celtic star Brian Scalabrine will be in attendance for “Put Scal to Work” Night. The Spinners have taken suggestions from fans on Twitter and Facebook as to what duties to give Scalabrine. He will work the concession stands, be bat boy for an innings, announce players over the PA system for an inning and more! Also, the Spinners will have Leprechaun Wrestling on the front promenade before the game, so be sure to arrive early and plan to stay all night because after the game, there will be a fireworks spectacular. Overall, it should be a fun night at the ballpark and fans won’t want to miss any of the action at LeLacheur Park. We hope to see you at the park tonight! As always, GO SPINNERS! One of the highlights of the young season was a grand slam by Cleuluis Rondon in the top of the ninth inning last week to top Tri-City. That comeback win helped the Spinners to a 3-3 road trip and pulled them within one game of the ValleyCats in the NYPL’s Stedler Division. The Spinners return home for a six-game home-stand against the hated Staten Island Yankees and the Jamestown Jammers. Lowell is 7-3 at LeLacheur Park this season and has its ace, Sergio Gomez, on the hill for Game 1 against Staten Island. Gomez is 1-1 with a 2.18 ERA. He is among league-leaders in strikeouts with 24 in 20.2 innings pitched. Infielder Reed Gragnani was moved up to Low-A Greenville today to replace another former Spinner, Mookie Betts, who was moved up to High-A Salem. To fill Gragnani’s spot on the Spinners’ roster, the Red Sox promoted infielder and 2013 24th Round draft pick Jantzen Witte from the GCL Red Sox. Witte batted .244 in 12 games with two doubles, a triple and seven RBI for the GCL Sox. He was a standout player at TCU the past four seasons, batting a career .327 with 14 home runs and 138 RBI. He is slotted fifth in the lineup tonight as the DH. Come on out to LeLacheur Park as the Spinners host NASCAR Night with NASCAR drivers Ryan Preece and Bobby Santos in attendance. The night is in advance of the Camping World RV Sales 301 to be held at New Hampshire Motor Speedway in Loudon this Sunday. First pitch is at 7:05 pm. Trailing 3-0 going into the ninth inning at Tri-City and on their way to losing two-of-three to the ValleyCats, the Lowell Spinners staged an outstanding comeback Saturday night. Cleuluis Rondon drilled a grand slam over the right field wall to put the Spinners up for good, 4-3. Rondon’s slam gave the Spinners their fifth win in six games and brought them within one game of the ValleyCats, who lead the Stedler Division with a 13-7 record. The Spinners are even in the loss column with Tri-City and boast an 11-7 record. Newcomer Joe Gunkel pitched two shutout innings to earn his first professional win. Gunkel was an 18th round draft pick out of West Chester. Greg Larson allowed two runners to reach in the bottom of the ninth, but got out of the jam for his fourth save of the season. Up next, the Spinners travel to Brooklyn for a three-game set with the Cyclones. Lowell returns home Wednesday to host the Staten Island Yankees at LeLacheur Park. We hope to see you at the park this coming week! 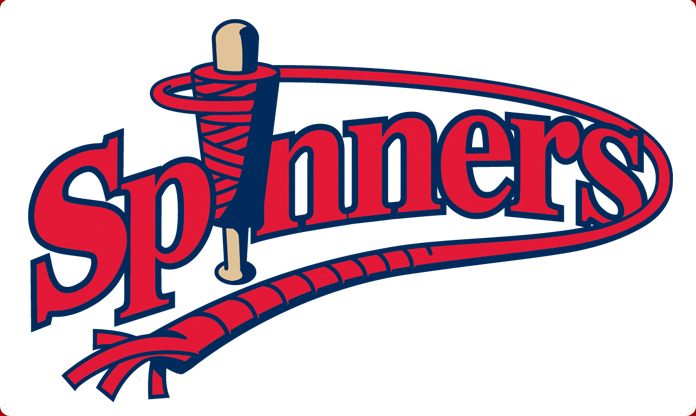 We will have more details from the Spinners final three games of the road-trip and upcoming promotions at LeLacheur, so be sure to check back here! Go Spinners!